Nurses who care for a community instead of serving a single patient at a time are known as public health nurses or community nurses. Besides treating whole communities, they also educate the people about health issues, beneficial health practices, and disease prevention. Skills and core competencies that the aspirants ought to possess are – outstanding communication skills, strong work ethics, proactive approach to manage a public health program, healthy relationship with colleagues and clients, flexibility, adaptability, computer skills, technical skills, etc. To know the basic education requirements, procedure, salary and career prospects of this occupation, go through this article. To manage public health programs related to maternal and child health, communicable diseases, school health and nutrition programs. The services provided by public health nurses within these programs are not just limited to health promotion. To enhance, ease, carry out and adjust the health advancement activities, depending upon the needs of the client. To enhance quality results by studying, analyzing and implementing changes in the processes. Protecting and improving the health of children by taking part in children health conferences, school health, giving group instructions for parents, and arranging immunization programs. Keeping any information regarding the patient private. Organizing the supplies and preparing the reports. Gathering and documenting the demographic and statistical information. To behave as a resource for other community-based health care workers. To build-up safe and healthy environment in homes, schools, day care centers, work sites as well as in the general community. To advocate the self-determination of the clients and assist them in discussing their health needs so as to provide appropriate services. Giving orientation to new employees in unit precise programs. To work together with other health care providers and community agencies for the determination of health-related problems. The minimum academic background should be 2 years of high school. You should have a bachelor’s degree in nursing from an accredited nursing program. Working experience as a registered nurse. 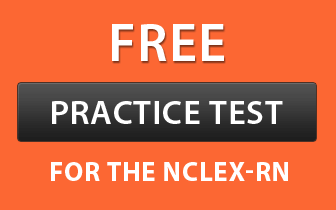 You must clear the National Council Licensure Examination for Registered Nurses (NCLEX-RN). Master’s degree in community health or public health. Complete a 4-year BSN program which covers several nursing topics like pathophysiology basics, pharmacology, nutrition, emergency care, anatomy, issues and trends in nursing, patient health evaluation, etc. Opportunities to do practice in clinical settings make it easy to work in real work settings after completion of the course. Get certified as an RN before enrolling in a public health nurse graduate degree program. For this, you are supposed to clear the NCLEX-RN exam. Then fulfill other formalities required by your state. After that, submit an application to obtain the license. Some public health nurse programs give you admission only if you possess working experience as a registered nurse. You can gain experience by working in community health centers, private clinics, outpatient settings, or hospitals. It will be of great help if you have worked for 2,000 hours in public health settings, as an RN. Master’s degree program for the public health nurses takes about 1 year to complete. With this, students develop advanced practice nursing skills like assessment, nursing practices, pathophysiology, pharmacology and other exceptional skills. This course gives them the knowledge and competence required to plan, apply and assess care in public health departments, schools, clinics, and home health agencies. A public health nurse must have a license as a registered nurse. Some states demand an additional public health nurse certification. If one wishes to become state certified, then s/he needs to give the proof that s/he has done coursework in the public health nursing. If you are a master’s level public health nurse, you can look for additional voluntary certification (i.e. Advanced Public Health Nurse – Board Certified) through the American Nurses Credentialing Center (ANCC). There are two ways for it. For both the options, it is essential for the candidates to have an active, current RN license or must have a comparable license from another country. Option 1 – Candidate must have a graduate degree in public nursing or community health nursing issued by a Commission on Collegiate Nursing Education (CCNE) or National League for Nursing Accrediting Commission (NLNAC) accredited program. Option 2 – Candidate must hold an MPH and a bachelor’s degree or higher in nursing. An addition of 3 independent courses in advanced pathophysiology, advanced pharmacology, and advanced physical/mental assessment. Minimum 500 hours performing the clinical responsibilities of a CNS under the supervision, in a community health setting. APHN-BC is a computerized exam. The certification is required to be renewed every five years. Public health nurses deal with diverse populations, so they must have the ability to listen carefully, work well with large groups, and possess sensitivity to cultural differences. They have to travel long distances or locally to serve the healthcare demands of the underserved communities. They may work for community health centers, non-profit organizations, government agencies, etc. Besides this, they perform several tasks such as analyzing the success of public health programs, managing budgets, etc. Online degree programs provide you the skills required to pursue a nursing career in the field of public and community health. It prepares you to take crucial leadership responsibilities in the community healthcare settings, government healthcare centers, and non-profit organizations. These courses are designed and taught in such a way that the students receive the academic degree similar to the students enrolled in a classroom MPH program. Most of these programs offer a customized online learning platform and allow the students to access the content 24/7 with the help of an internet connection. Students can come in contact with other students and faculty members in regular online live sessions and virtual office hours. Besides this, there is also an option for the students to take common study sessions or group projects with other classmates. Also, they get the opportunity to assimilate and improve what they have learned in the classroom and apply it in the field. An antivirus software such as Norton or McAfee should be installed on your PC. As per payscale.com, the median salary of the public health nurse was $50,212 (as of Jan 12, 2016). As per indeed.com, public health nurses earned $62,000 per annum (as of March 3, 2016). The average pay of these professionals in the US was similar to that of salaries for jobs posted at the national level. Supervising RN made $96,000 per year while Clinic Medical Assistant earned an average annual income of $29,000. The salary of other professionals was between $29,000 and $96,000. The career outlook for public health nursing is very bright. A growth of 19% is anticipated by the United States Bureau of Labor Statistics, between 2012 and 2022. The major reason for this hike is the rise in diseases like obesity, diabetes, and other health-related problems. Another reason is an increase in the elderly population. With continuing education and good performance, you can attain management positions.